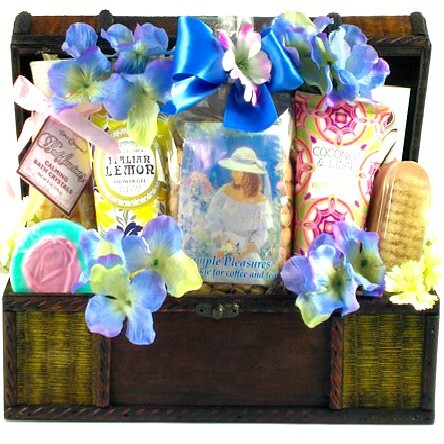 A lovely gift basket for women, enhanced by floral accents and designer ribbons, is blooming with luxurious spa gifts and delicious treats. 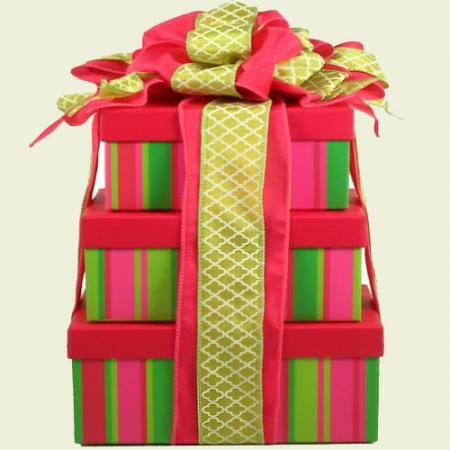 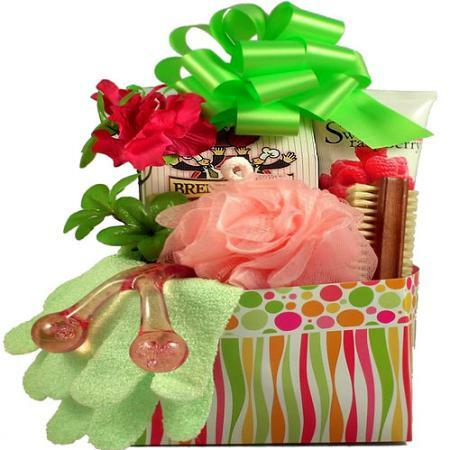 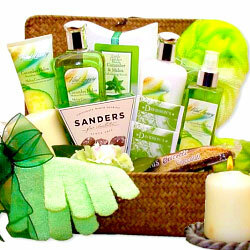 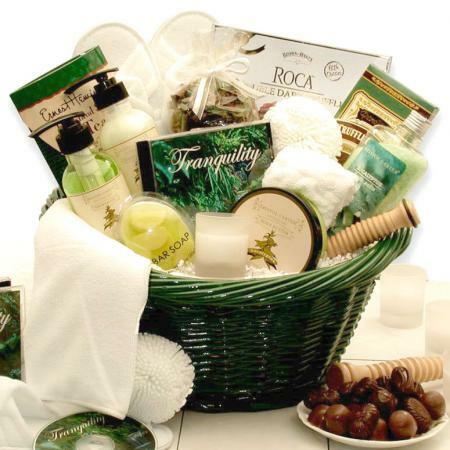 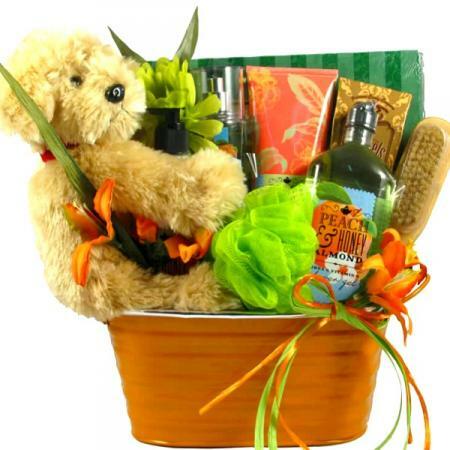 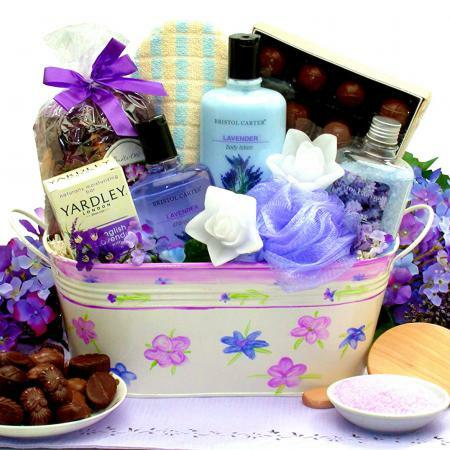 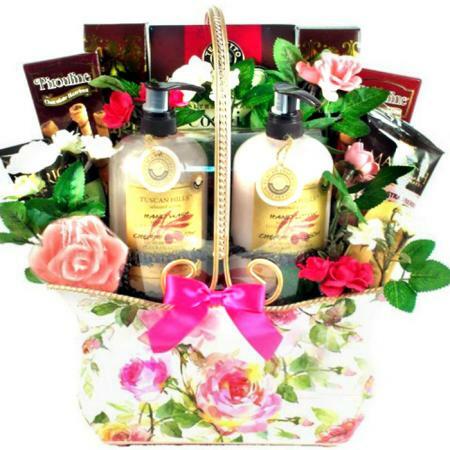 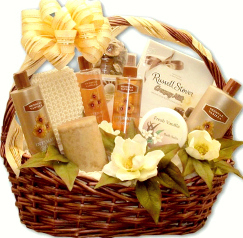 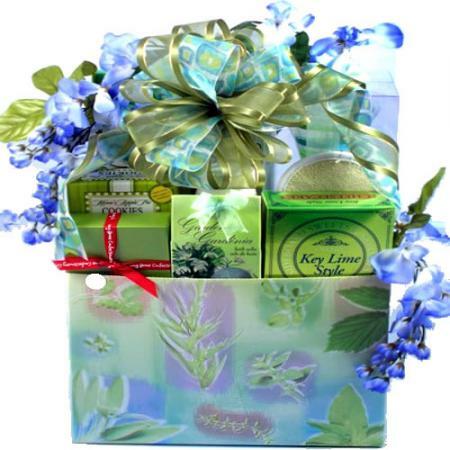 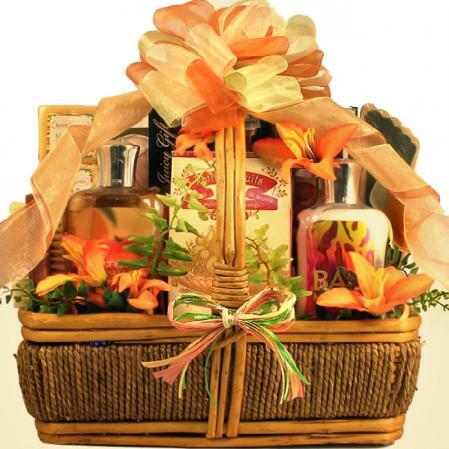 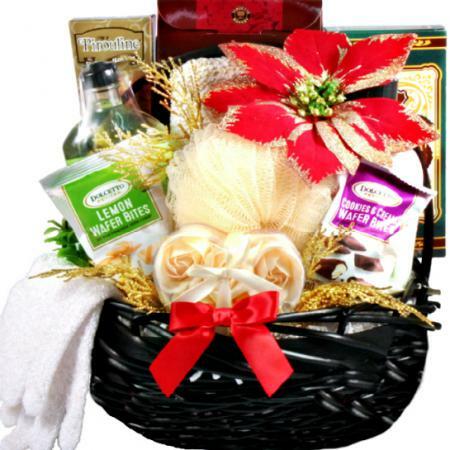 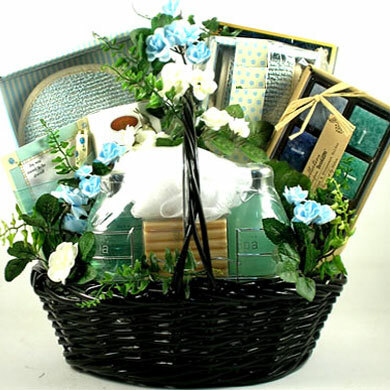 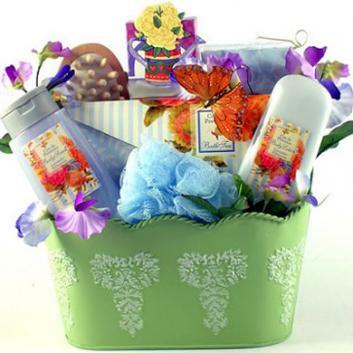 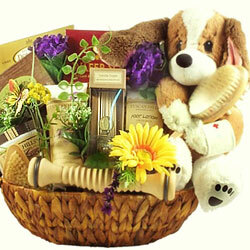 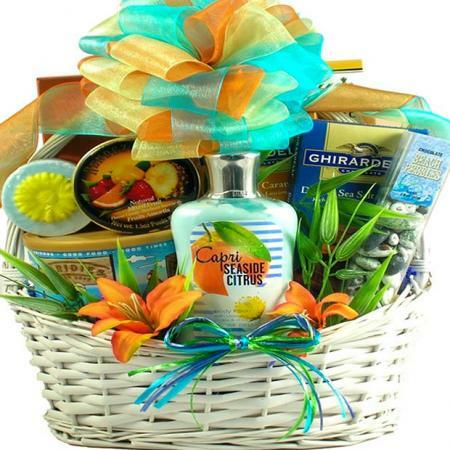 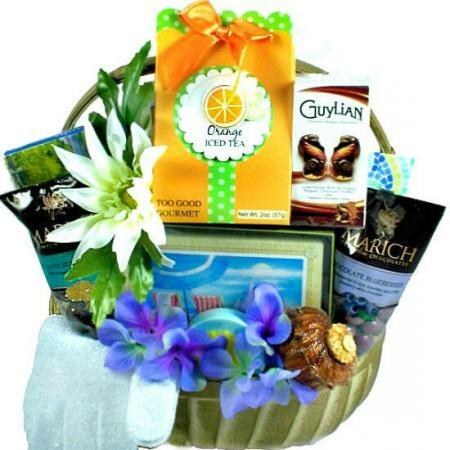 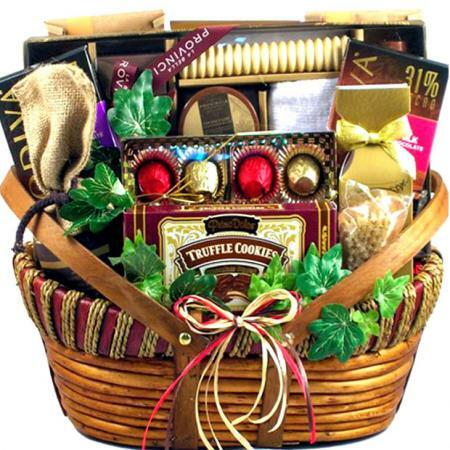 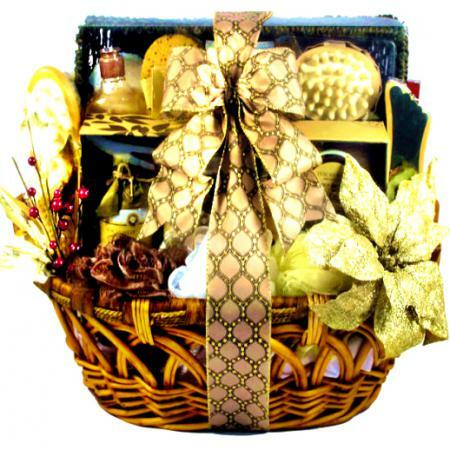 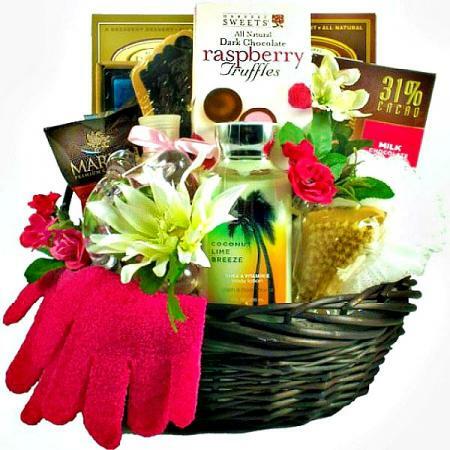 This elegant spa gift basket makes a beautiful gift for any occasion! 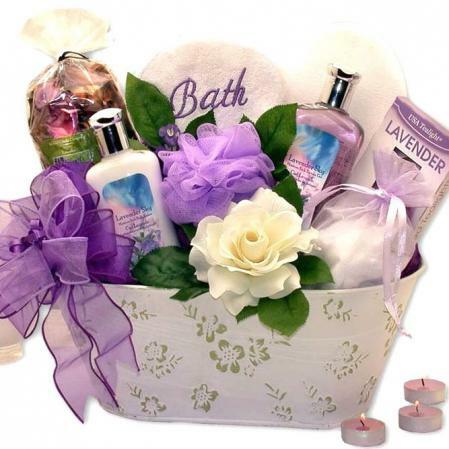 It offers a truly luxurious bathing experience. 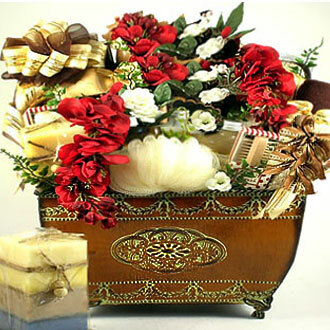 Arrives trimmed with delicate floral accents, a lifelike butterfly and designer ribbon, this is a delightful gift arrangement for any special woman.